We take pride ourselves in offering a superior range of Compact Clamps which is fabricated using best grade raw materials that are sourced from reliable entities in the market. They are highly appreciated for its well known features like durable, reliable, easy to install and maintain. We offer these in various forms and are provided with easy and convenient applications to clients as per their requirements. 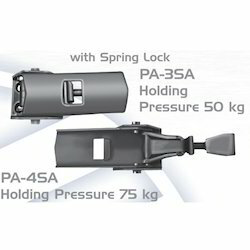 Our esteemed clients can avail from us an exclusive range of PA-ISA (U/J) Compact Clamps. These products are made up of high quality raw material bought from a reliable vendor. They are available in custom sizes and can be availed at reasonable prices. These Clamps are extremely efficient and offer a long lasting service as well as sturdy in construction. 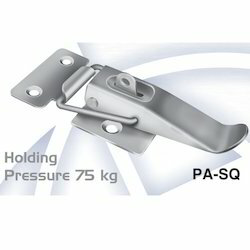 Our offered ranges of these Clamps PA-SQ (U/J) are highly appreciated for its striking features. 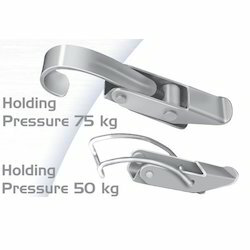 These Clamps are strong in constructions, easy to install, resistant to high pressure and works smooth. We also export these products all around the globe as per the standards. These are available in different sizes, shapes as per client requirements and access at a cost effective price. Depending upon the needs and demands of the consumers we offer a high range of Compact Toe Clamps products to our honored clients. We manufacture these Clamps using quality raw materials and are designed as per industry standard norms which can withstand to high pressure. They are provided under the supervision of our experts with the most advance technology. We offer these at affordable prices. Looking for Compact Clamps ?